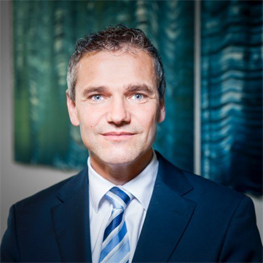 Dr. Philipp Aeby is CEO of RepRisk and previously held the position of Chief Operating Officer and Managing Partner. Before joining RepRisk in 2006, he served in various managerial positions across Europe at Amgen, a global biopharmaceutical firm, and worked on a broad range of international assignments with the Boston Consulting Group. Philipp holds a PhD in Environmental Physics and a Master’s degree in Climatology from the Swiss Federal Institute of Technology (ETH) in Zurich, Switzerland. Philipp is on the Business Advisory Board of Swisspeace, a member of the Global Advisory Council of Cornerstone Capital Inc., and was on the Board of Swiss Sustainable Finance and on UNICEF’s Advisory Board during the launch of UNICEF’s Children’s Rights and Business Principles.